For use in our Epoxy. Normally use 1 oz. per quart (4 oz. per gallon). If the exact color you need is not available, a very true color "reproduction / match" can be achieved when mixing different color pigments together to blend into the color desired. The best way to color match is to put a small amount of the Epoxy you will be blending on a flat surface such as a piece of cardboard in a very small quantity such as the size of a quarter or half dollar then add the color or colors to Blend to get the correct mix ratio. Then when you know how many parts of each color you need then you can mix the larger quantity in your mix cup. Don't worry about the shelf life on our color pigments, the shelf life on pigments can be measured in years even after opening and will remain fresh for reuse with a little stirring for future projects. When using epoxy that is white like our Steelflex White, you will not be able to get a dark color. 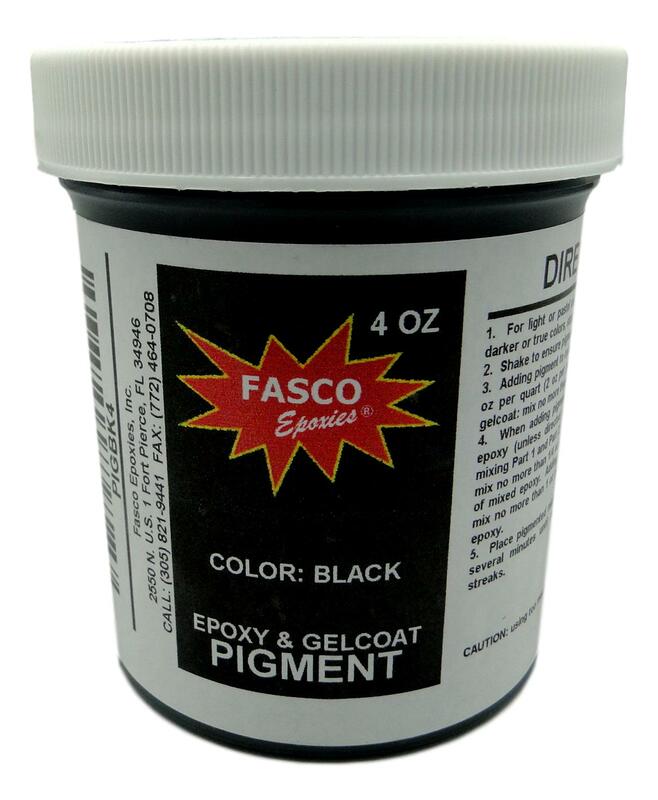 If you need to make a dark epoxy for example you will need to start with a neutral base. When using white epoxy as a base you will only be able to achieve a pastel or light color.